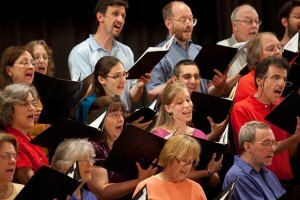 The Arlington-Belmont Chorale (ABC) is an approximately ninety-voice chorus which is open to all singers without auditions. We maintain high musical standards along with high positive energy; the love of learning and performing great music is our common bond. Our repertoire includes well-known and little-known masterpieces of choral literature; major works and shorter pieces alike. Each season regularly has four full-length concert programs, and at least two of these concerts are accompanied by the full Arlington Philharmonic Orchestra. We feature some of the Boston area’s finest vocal soloists – as well as providing solo opportunities for Chorale singers. … plus numerous shorter works. The Chorale has also performed several specially commissioned works; recent commissions include local composers Pasquale Tassone, David Sears, and Frank Warren. Each June, the Chorale performs a Pops concert featuring lighter musical fair, from the worlds of musical theatre and film, pop, jazz, the great American songwriters, folk and patriotic music from many countries and traditions, and popular opera selections. Historically speaking, the Arlington-Belmont Chorale was formed in 1973, when the Chorale of the Philharmonic Society of Arlington and the Belmont Chorus were merged under the baton of the music director of both groups and the Arlington Philharmonic Orchestra, John Bavicchi. Our present conductor, Barry Singer, who succeeded Maestro Bavicchi in 2004, is also the conductor of the Arlington-Belmont Chamber Chorus. Michael Becker is the Chorale’s Accompanist. 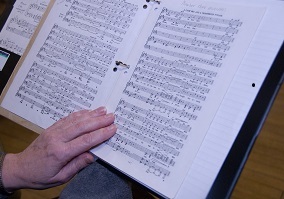 Chorale rehearsals are held every Monday evening at 7:45 PM, at the Park Avenue Congregational Church (PACC) in Arlington Heights, beginning the first Monday after Labor Day and continuing into June. (The link to PACC is here because they provide directions on how to get there.) Check out Our Concert Schedule for the Chorale’s concert season and programming. For more information, contact the chair of the chorale at chorale@psarlington.org. 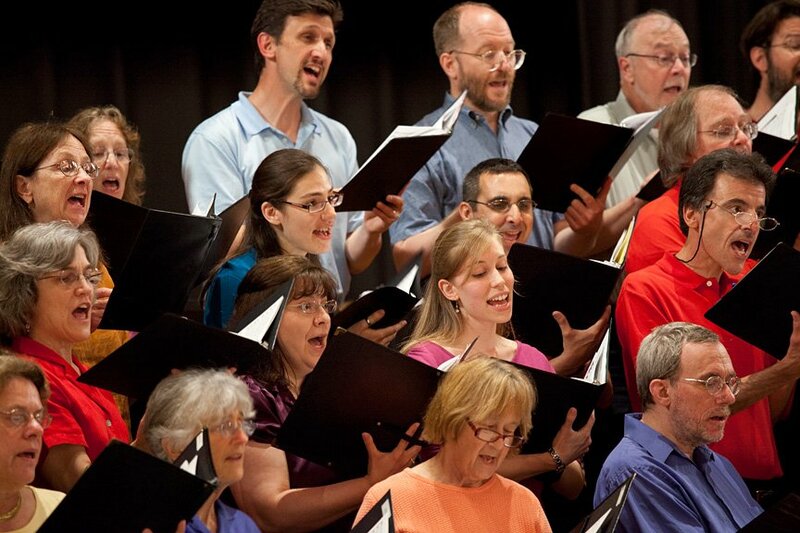 The Chorale is a member of The Greater Boston Choral Consortium, a cooperative association of diverse choral groups in Boston and the surrounding areas.